The Economic and Financial Crimes Commission on Monday re-arraigned a former Governor of Abia State, Orji Kalu, before a Federal High Court in Lagos for an alleged fraud of N2.7bn. Kalu was re-arraigned along with two others on 34 counts of money laundering before Justice Mohammed Idris. His co-defendants were Udeh Udeogu and a firm, Slok Nigeria Limited. The re-arraignment of the accused persons on Monday followed the transfer of their case from the Abuja Division of the Federal High Court to the Lagos division. The accused persons had earlier been arraigned on September 27, 2016 before Justice Anwuri Chikere of the Abuja Division of the court. But the Chief Judge of the Federal High Court, Justice Ibrahim Auta, subsequently transferred the case to Lagos, leading to the re-arraignment of the accused persons on Monday. The 34 counts pressed against Kalu and others border on money laundering. The EFCC, in the charges, alleged that while he was governor of Abia State between 1999 and 2007, Kalu siphoned funds running into over N2.7bn from the state’s treasury. The ex-governor was accused of diverting state funds into the account of Slok Nigeria Limited, a company the EFCC claimed was owned by Kalu and his family members. Kalu was said to have allegedly diverted the funds in tranches of N200m, N50m, N200m, N300.8m, N545m, N429m, N288.4m, N190m, N157m, N152.8m, N100m, N84m and N50m between August 13, 2003 and January 12, 2005. The offence is said to be contrary to Section 17 (c) of the Money Laundering (Prohibition) Act 2003 and punishable under Section 16 of the same Act. The EFCC said the company was liable to punishment under Section 16 of the Money Laundering (Prohibition) Act 2004. The second defendant, Udeogu, was accused of helping Kalu to pay part of the allegedly stolen funds into the account of Slok Nigeria Limited with the defunct FinBank Plc. The offence is said to be contrary to Section 427 of the Criminal Code Cap 77, Laws of the Federation of Nigeria, 1990. The accused persons, however, pleaded not guilty when the charges were read to them. Consequently, the prosecuting counsel for the EFCC, Mr. Adebisi Adeniyi, asked the court for a trial date. Kalu’s lawyer, Chief Mike Ozekhome (SAN), informed the court that his client had earlier been arraigned and granted bail and urged Justice Idris to allow the ex-governor to continue on the existing bail. Ozekhome said, “We are seeking the court’s discretion for the first defendant to continue on the existing bail granted to him on April 20, 2008, by Justice Adamu Bello. On the his part, counsel for the second defendant, Mr. Solo Akuma (SAN), also urged Justice Idris to allow his client to continue on the existing bail granted to him, assuring the court that his client would make himself available for his trial. “The second accused person is a retired permanent secretary and his wife is a judge of the Federal High Court,” Akuma added. The prosecutor said he was not opposed to the application to allow the defendants to continue on their existing bail. Justice Idris ordered the defendants to continue on their existing bail. He adjourned till December 12, 2016 for commencement of trial. Kalu had earlier opposed the transfer of his case from Abuja to Lagos. In an ex parte motion filed through his lawyer, Chief Awa Kalu (SAN), he had sought the leave of court to apply for an order of mandamus to compel the Chief Judge of the Federal High Court to remit the case back to Abuja from Lagos where it had been transferred. 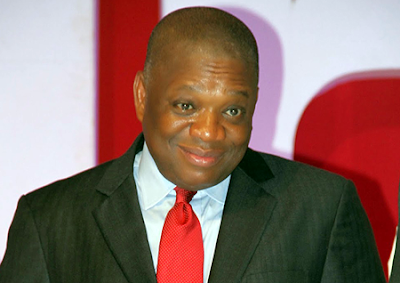 Kalu said he had, because of the case, temporarily relocated to Abuja to face trial alongside others charged with him. Despite his contention, however, he was re-arraigned in Lagos on Monday.